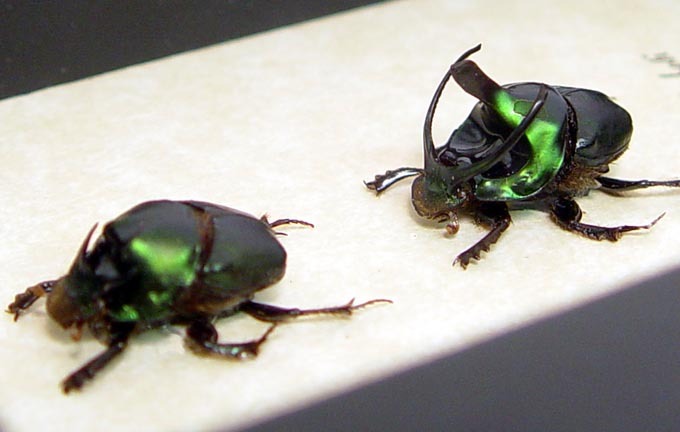 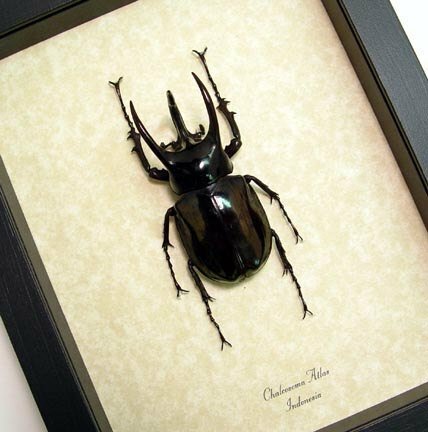 Description: These beetles are actually “true bugs” or also known as stink bugs. 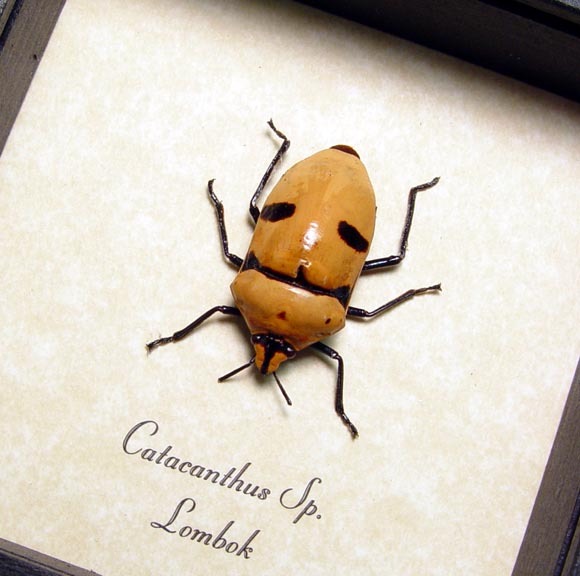 Many species of face bugs have interesting markings that resemble faces. 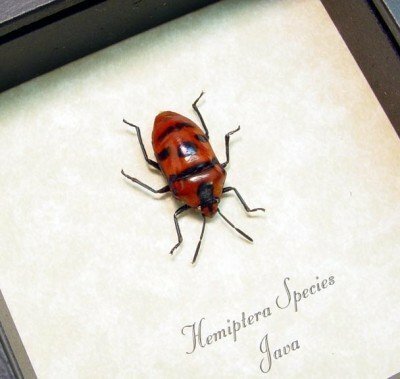 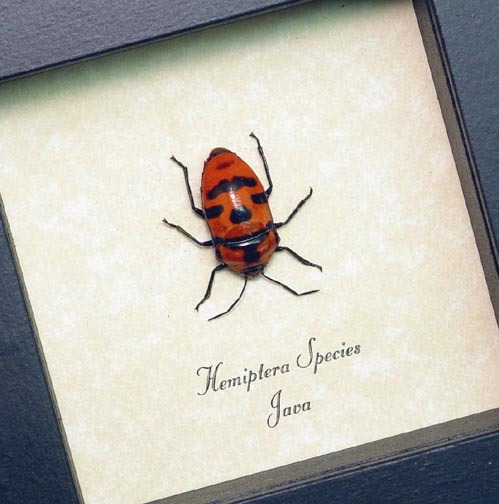 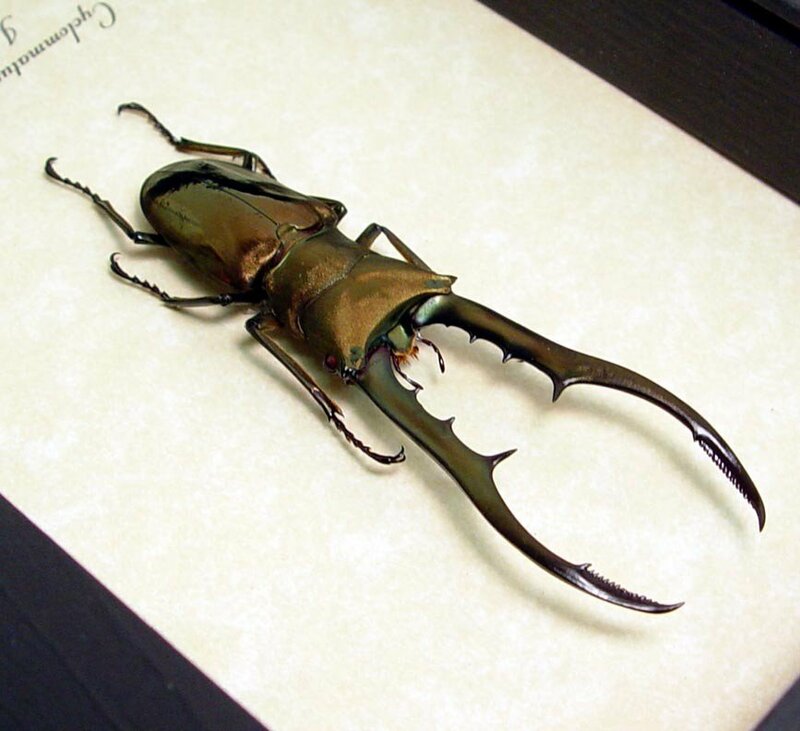 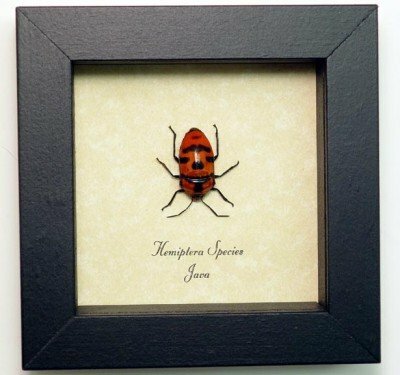 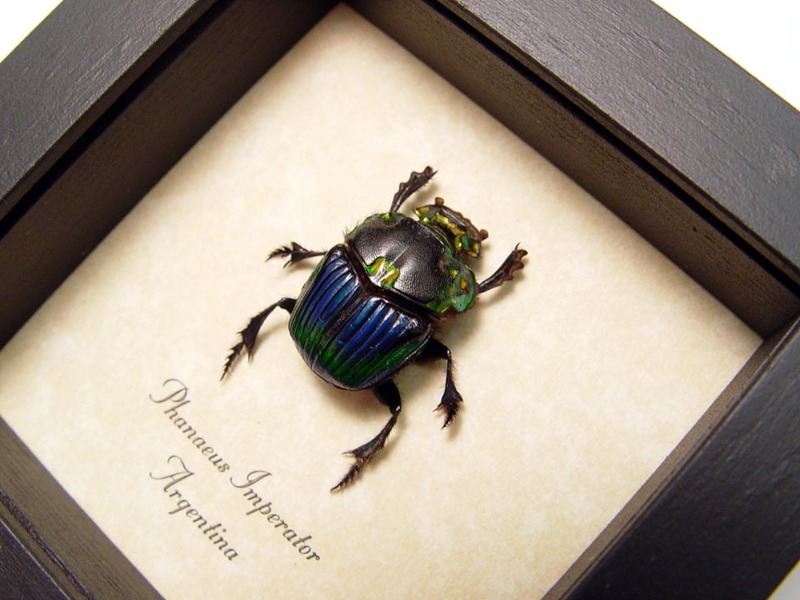 This particular species has the brightest red color of all the man face beetles.